Ice Cream Cones With Golden Shining Stars On Yellow Background. Party Happy Birthday Anniversary Background. Lizenzfreie Fotos, Bilder Und Stock Fotografie. Image 114631587. Standard-Bild - Ice cream cones with golden shining stars on yellow background. Party Happy Birthday Anniversary Background. 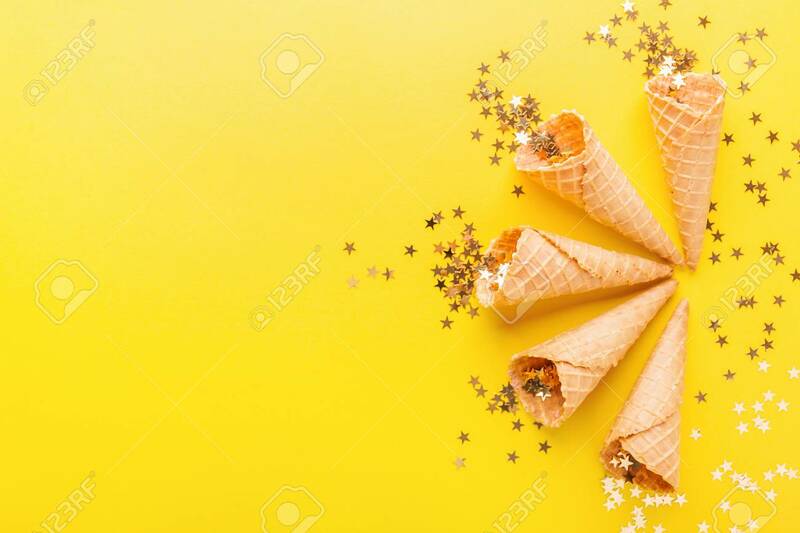 Ice cream cones with golden shining stars on yellow background. Party Happy Birthday Anniversary Background.